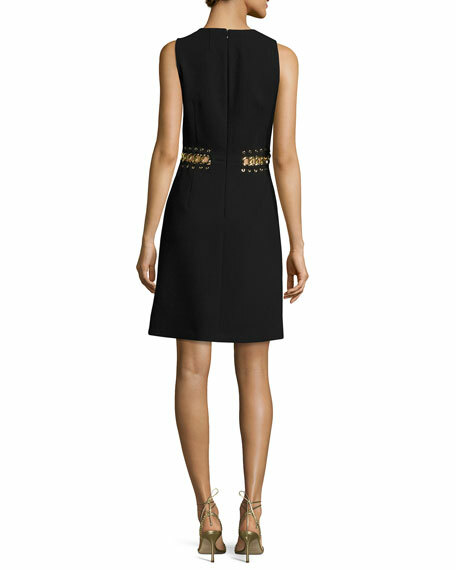 Michael Kors Collection stretch boucle crepe minidress with two-piece illusion. Golden curb chain and grommet details at waist. For in-store inquiries, use sku #2164507.